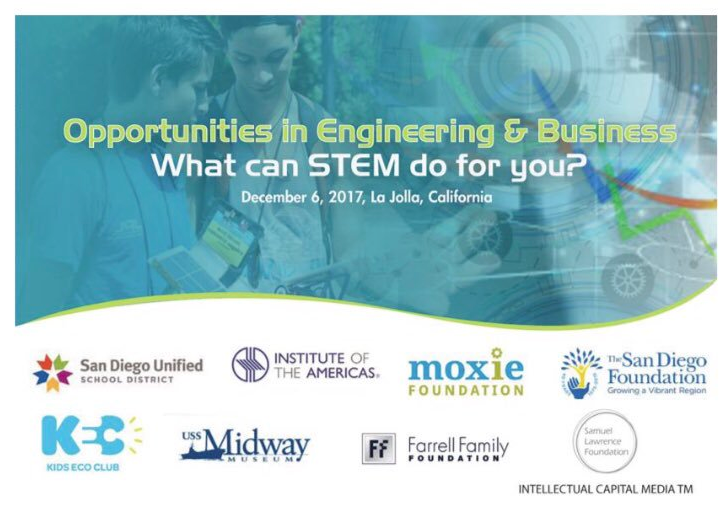 The Institute of the Americas is collaborating with the San Diego Unified STEAM Leadership Series, the San Diego Unified School System, lead sponsor the Moxie Foundation, and others, in a major event in December 6, 2017, in order to underscore the importance of education in Science, Technology, Engineering, and Mathematics (STEM) to the future careers of the youth of the region – from all sectors of society. 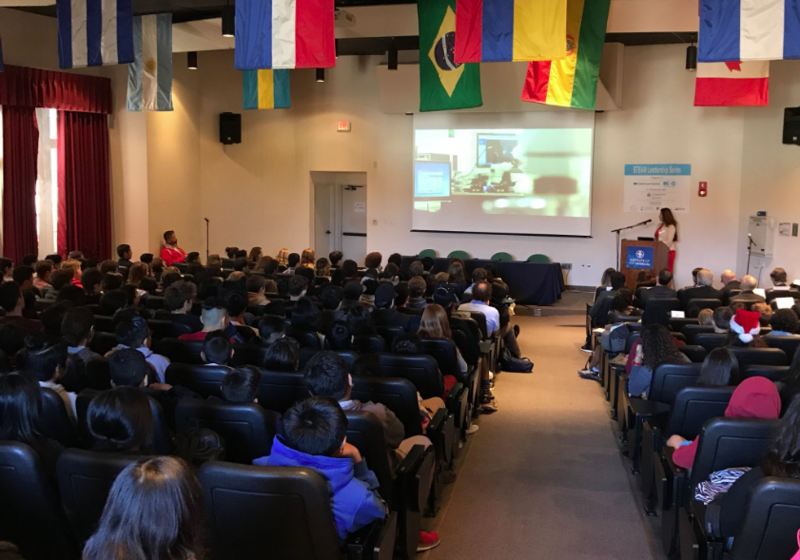 Three-hundred junior high and high school students, many of Latin American origin, with interests in STEM participated in this event. Through interactive narratives with the participants, Latin American professionals showcased their experience and demonstrate how their achievements and personal pathways to success can serve as practical examples and models for students towards achieving their own potential. 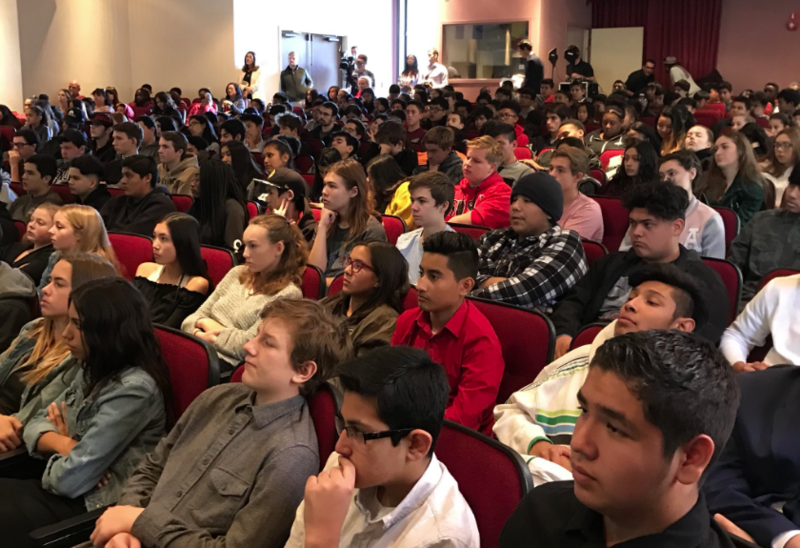 The participants learned about the new high-tech, business, and entrepreneurial STEM careers from exciting and knowledgeable experts. Some 400-hundred junior high and high school students, many of Latin American origin, with interests in STEM will participate in this event. KEYNOTE: WENDY MARTINEZ, MANAGER ELECTRICAL ENGINEERING, RAYTHEON CORP.
Raytheon, the world’s largest maker of guided missiles, has 63,000 employees and a significant presence in San Diego and California. Martinez, one of the highest ranked Latina engineers in the country, overseas a senior team of 10, all men.